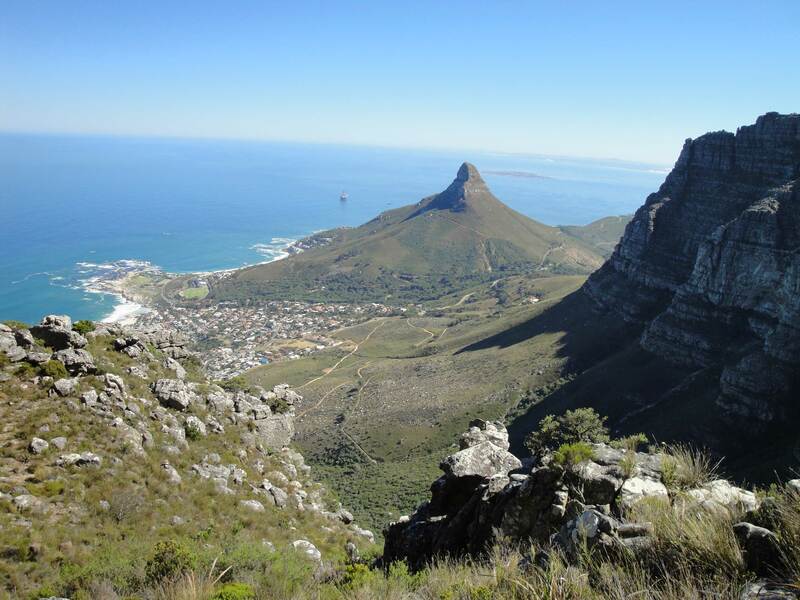 Cape Town, Table Mountain and the surrounding mountains of the south-western Cape have a Mediterranean climate, enjoying long warm and dry summers and a cool and wet but relatively short winter. Most popular with visitors, the November – March summer months are often hot and windy – sometimes extremely so – but there is a lot to see on a summer hike and but hikers are more or less guaranteed dry weather. 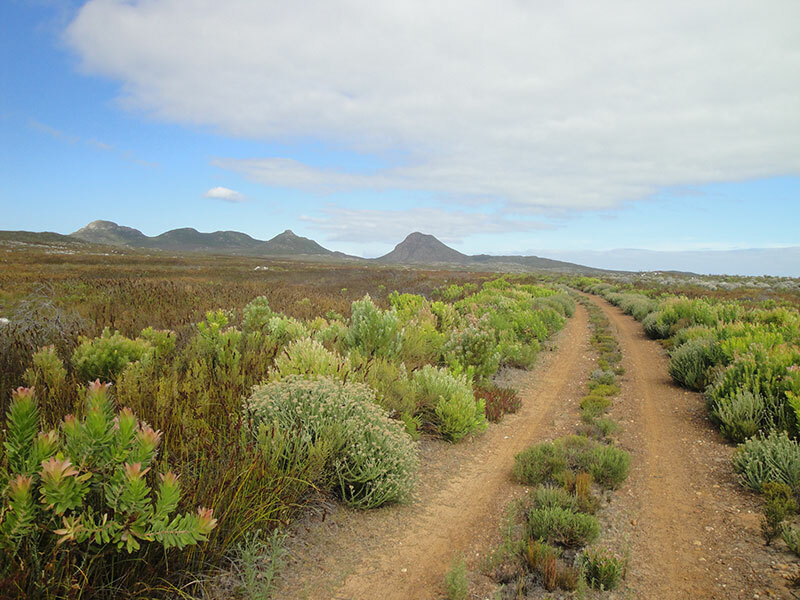 The wind and temperatures drop during the April and May autumn months, often seen as the nicest time for hiking Table Mountain and in the Cape – find out about an autumn hike here. The winter rains of June through August needn’t put off hikers completely: in between the rain-bearing cold fronts there are long periods of mild and sunny weather, making a winter hike one of the best of the year. 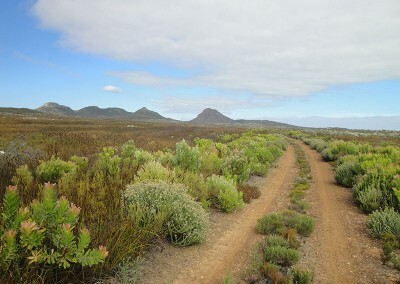 Temperatures increase and the rains begin to ease off during the September and October spring months; now nearly two-thirds of the fynbos comes into flower, making a spring hike especially rewarding. Seventy per cent of the region’s rainfall occurs from June through September, mostly in the form of stormy cold fronts driven in from the north-west Atlantic bearing heavy rain and strong winds. There is occasional rain in October and November; December through March is a very dry period with virtually no rain. The rain is, however, unevenly dispersed. 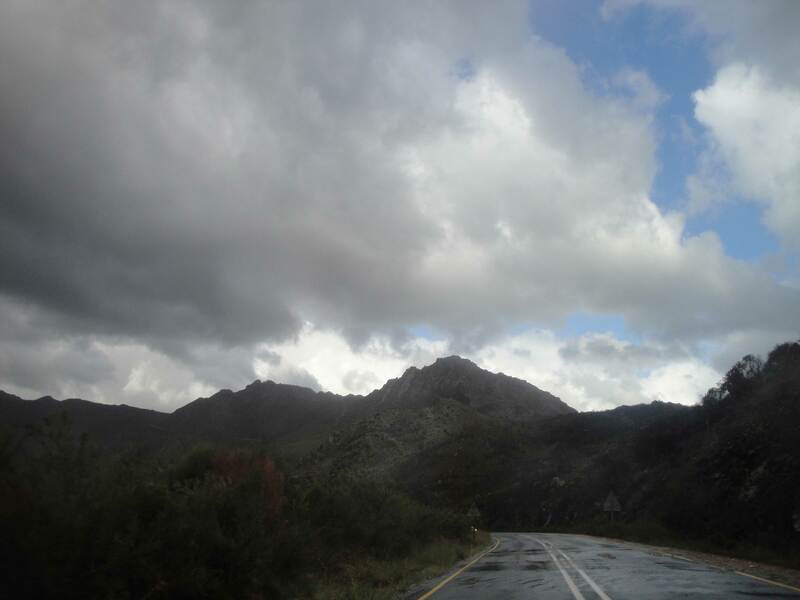 The mountains of the south-western Cape receive an annual average of 1 000mm (40 inches) of rain, making them far wetter than the lower areas of the region which average between 250 and 650mm (9 and 25 inches) a year. 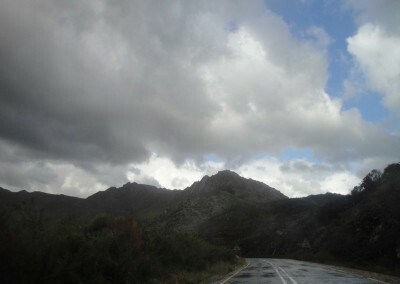 However, rainfall is affected by the aspect of the mountains–the way they face–and Table Mountain provides a good example. 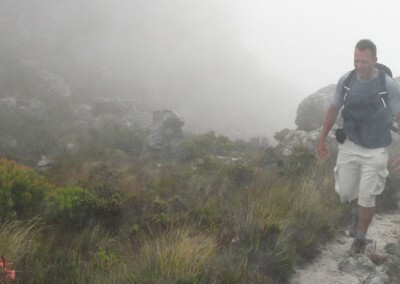 The eastern slopes of Table Mountain (those above Kirstenbosch Gardens and Constantia) receive more than four times the rain experienced on the drier western slopes (above Camps Bay). 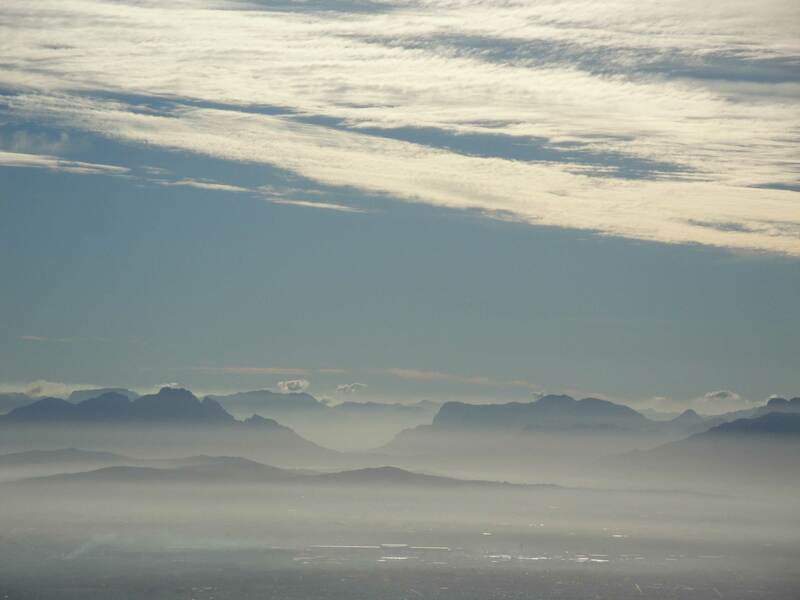 The reason is summer’s prevailing wind, a strong south-easterly wind which picks up moisture as it passes over False Bay. 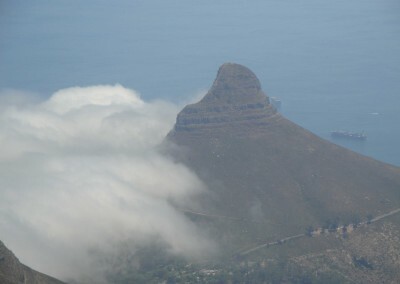 Condensing into clouds as it encounters Table Mountain’s eastern slopes, the “south-easter” forms the famous Table Cloth, the billowing white cloud that often sits on Table Mountain’s flat top – wonderful to look at; cold and soggy to be in. Cape Town’s maritime climate means there is only a 10% difference between summer and winter temperatures. The south-western Cape records a range of 7 to 15°C (44 to 59°F) in July and 15 to 25°C (59 to 77°F) in January. Hot spells do occur in summer when the temperature can reach over 40°C (104°F) but the cooling south-easterly winds generally keep the summer mercury down. Conversely, the warming influence of an ocean on either side of the Cape Peninsula means winters in Cape Town are never that cold. 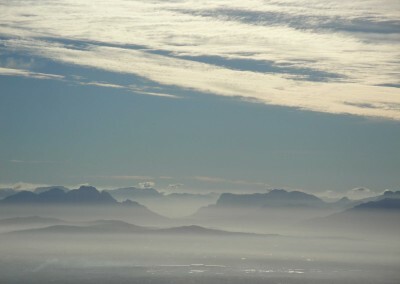 Table Mountain and the mountains of the Cape Peninsula are largely free of frost although the higher mountains of the Cape Winelands may have a coating of snow in winter, delivered by south-westerly winds bringing freezing air from deep down in the Southern Atlantic. 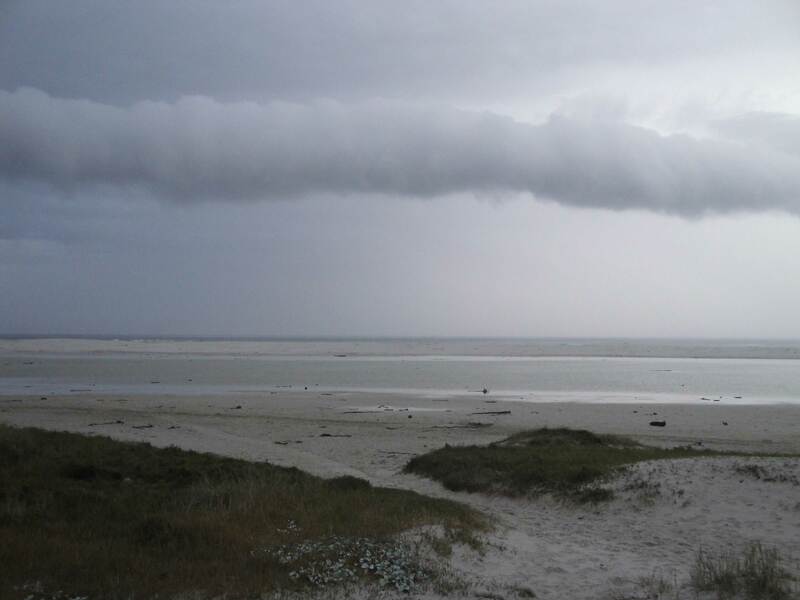 Wind is an unavoidable fact of life in Cape Town and the south-western Cape; indeed, 20% of Cape Town’s November to April summer season records gale force wind and at Cape Point, it’s even more. 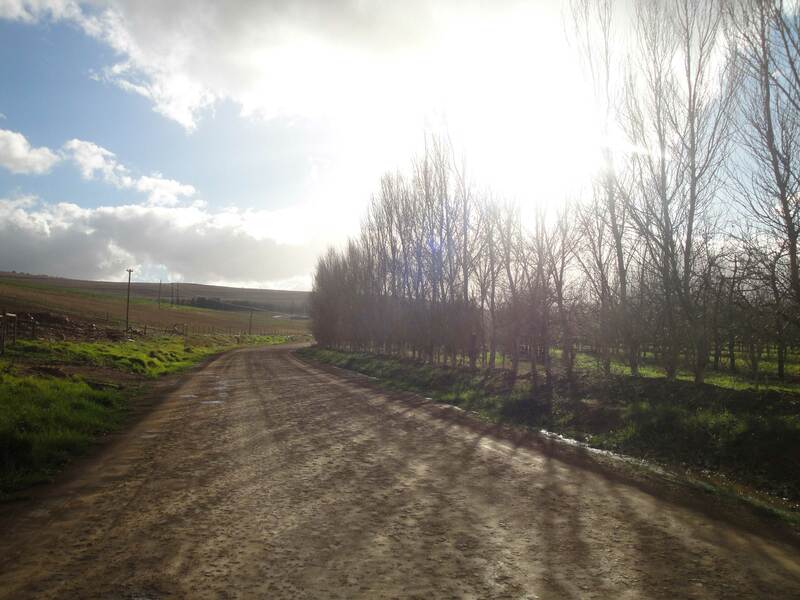 With an annual average wind speed of 30kph (19mph), the ever-popular tip of the Cape Peninsula records an amazing 100 days of gale force wind each year, many of them during the blue-sky days of summer. 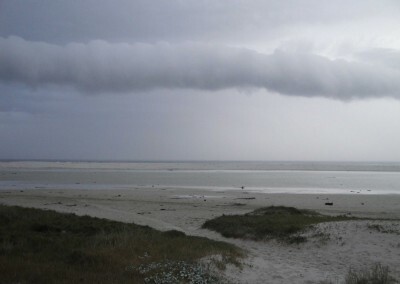 In winter, cold fronts coming off the Atlantic Ocean produce strong winds too – storms and gales at times – but these are full of rain, unlike summer’s mostly dry south-easterly winds. But the wind, however, serves a vital role. 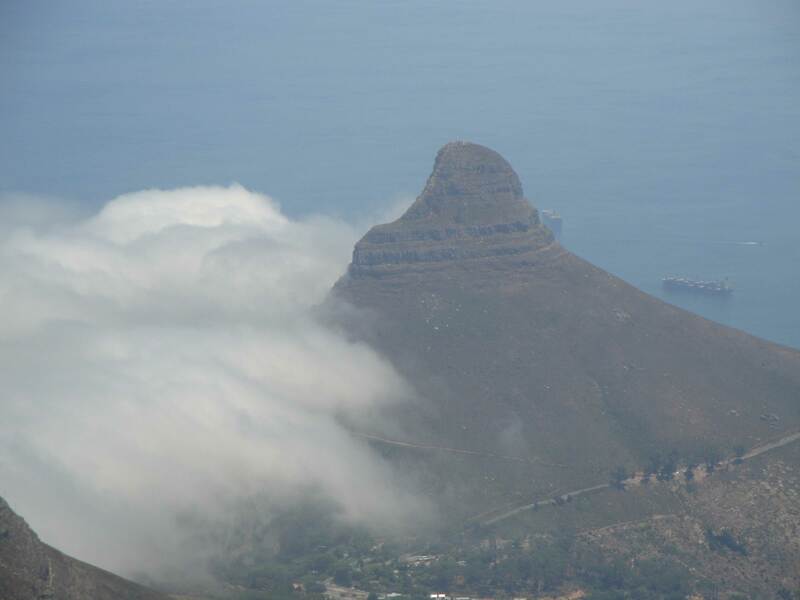 Known locally as the Cape Doctor, the summer south-easterly wind (the notorious ‘south-easter’) blows away the city’s smoke and pollution, clearing the air and revitalising the landscape. It also has a crucial ecological role: the south-easter creates the famous Table Cloth that pours over the top of Table Mountain in summer, providing 25% of the mountain’s annual moisture. Without it, few plants and animals could survive summer’s desiccating drought on the mountain.